Casting is officially complete for the West End transfer of Waitress! 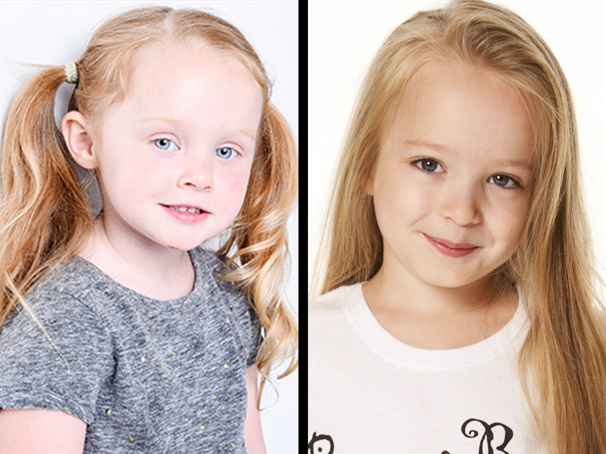 Newcomers Fifi Christophers and Arabella Duffy will share the role of Lulu in the previously announced production, set to begin previews on February 8 ahead of a March 7 opening at the Adelphi Theatre. Christophers and Duffy join a previously announced company of stars led by Katharine McPhee reprising her Broadway performance as Jenna along with David Hunter as Dr. Pomatter, Marisha Wallace as Becky, Laura Baldwin as Dawn, Peter Hannah as Earl and Jack McBrayer as Ogie. The musical's ensemble will include Kelly Agbowu, Piers Bate, Nicole Raquel Dennis, Michael Hamway, Stephen Leask, Chris McGuigan, Olivia Moore, Nathaniel Morrison, Sarah O’Connor, Leanne Pinder and Charlotte Riby. Waitress features a book by Jessie Nelson, a score by Sara Bareilles, direction by Diane Paulus, choreography by Lorin Latarro and musical direction by Katharine Woolley. The Broadway run opened at the Brooks Atkinson Theatre on April 24, 2016.